We pride ourselves on having one of the most active AIGA student groups in the city, helping our students connect both to the LA design scene and beyond. The group is showing no signs of slowing down in 2012, starting the year off with an evening with Jesse Farran, Director of Staffing Services for Onward Search Los Angeles, on January 18th at our Lindbrook Center building. Jesse will provide tips and tricks on how to increase your success rate in your job search by appropriately standing out in the crowd. The event is free and open to the public, though space is limited, so be sure to RSVP at http://jessefarran.eventbrite.com. Our fantastic poster was created by design student, Noah Suppin. You can see more of his work here. 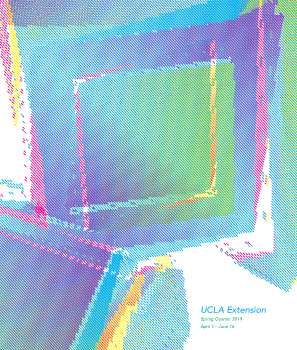 And if you haven’t already, stay connected by subscribing to the AIGA UCLAx Google group. Email aiga.uclax@gmail.com to join in.